If you don’t know who to turn to for residential septic pumping in Lakeland, FL, we highly encourage you to choose us at Averett Septic Tank Co Inc. Residential Septic Pumping in Lakeland – If your home in Lakeland, Florida uses a septic system to process waste, you’re probably already aware that you need to have your septic tank pumped on a regular basis to remove buildup in your tank. However, if you don’t know who to turn to for residential septic pumping, we highly encourage you to choose us at Averett Septic Tank Co Inc. to provide you with this service. When we perform residential septic pumping, we also obey all environmental laws and regulations to make sure that the septic tank waste we collect is responsibility processed and poses no hazards to the environment. 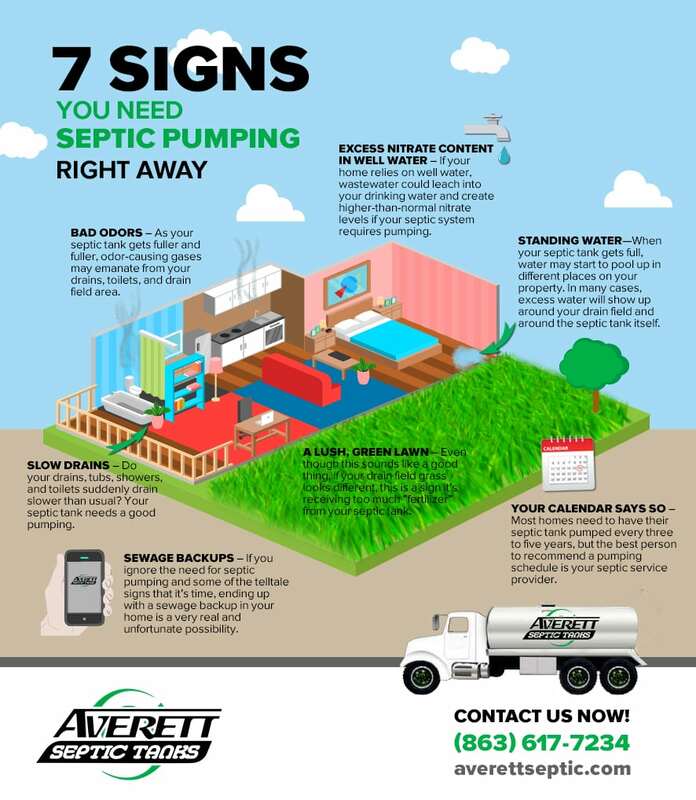 If you have any questions about what our residential septic pumping process entails or want to know how often you should plan on getting your home’s septic tank pumped, don’t hesitate to give us a call at Averett Septic Tank Co Inc. We’re always here to answer your questions, address your concerns, and provide you with needed information. At Averett Septic Tank Co Inc., we offer residential septic pumping services in Lakeland, Winter Haven, Auburndale, Bartow, Polk City, Plant City, Haines City, Mulberry, Polk County, and Eastern Hillsborough County, Florida.